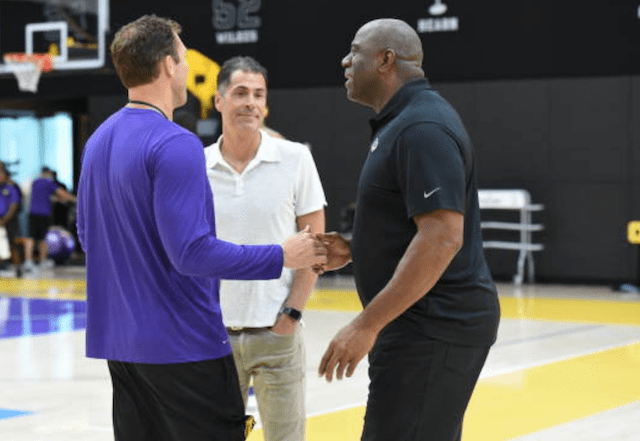 Although the Los Angeles Lakers front office underwent a significant overhaul when Jeanie Buss ousted her brother Jim and Mitch Kupchak by replacing them with Magic Johnson and Rob Pelinka, head coach Luke Walton has retained his position despite being tied to the previous regime. Johnson and Pelinka spoke positively of Walton upon being installed as the new figureheads of the Lakers front office, and they’ve generally done so on multiple occasions. However, Johnson reportedly admonished Walton during a closed-doors meeting early this season. It fueled speculation that Walton’s job security was in jeopardy, which Johnson pushed back on by declaring he would remain head coach for the remainder of the season — unless there was a “drastic” turn of events with the team. Johnson declined to specify what would make for such a scenario. Amid rumblings that Johnson and Pelinka will one day seek to hire a head coach of their choosing, a long-held belief is Buss resides as Walton’s staunchest supporter. To Walton’s credit, he’s consistently deflected attention away from any possible concerns over his status. The third-year coach has also raved about the relationship he shares with the entire front office, even after the much-publicized meeting with Johnson. Next season is believed to be the last that’s guaranteed of Walton’s reported five-year contract. 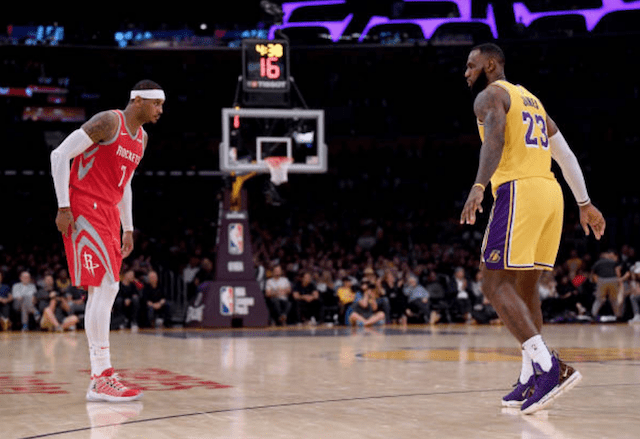 While he’s guided the team to nine-win improvements in each of the past two seasons, expectations drastically changed with the arrival of LeBron James. The new-look Lakers got off to a slow start but eventually they and Walton found their stride. However, just as that was occurring, the roster became ravaged by injuries. As such, it would make a potential coaching change all the more difficult to decide on.